As with each of us in the world of agriculture, Chad Fredd could write a story about his journey. He began his agriculture career as a student in his local 4-H program. 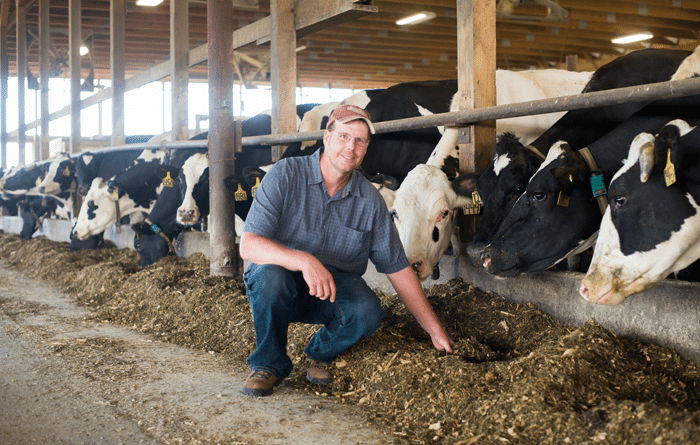 In 1998 The Fredd’s started with 52 cows and a tie stall with a pipeline milking system. In 2001 they relocated to a farm that had a free stall herring bone parlor. In 2004 they moved to their current location which they rented until 2008 when they purchased the farm. 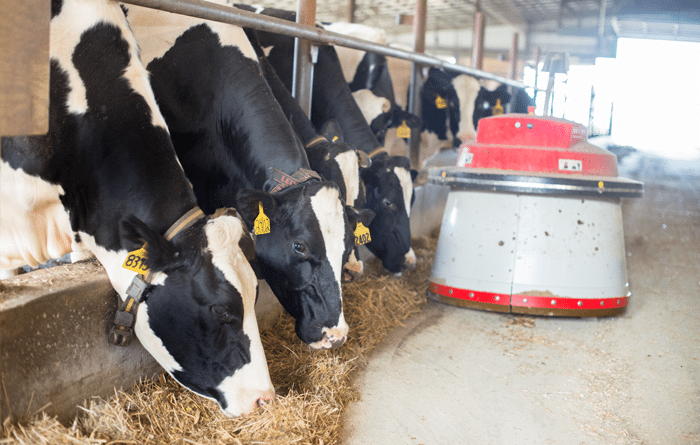 In 2010 they built a new barn which was the first step in moving from using a free stall parallel parlor to robotic milking in January of 2012. By August of 2012 they added an automatic calf feeder ~ Lely Calm. 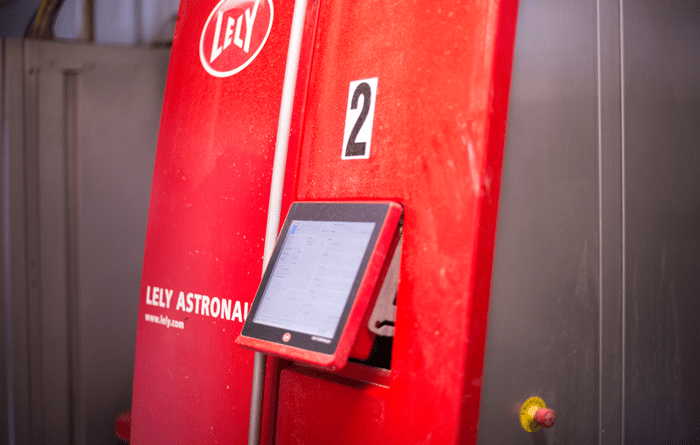 And in 2015 they began using Lely robotic feed pusher to assist in feeding the 250 milk/dry cows and 180 replacement heifers. They currently grow all of their haylage, corn silage, and high moisture ear corn (snaplage) on the 650 acres they own and lease. With each move and each experience Chad has done a little bit of everything. 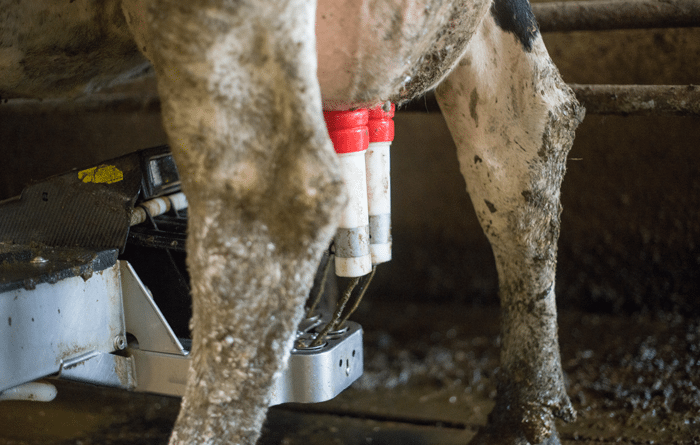 However, as he reminisces over the past 18 years of farming, he feels the best thing he could have done was to start milking and feeding by robotics. He states, “Robotics is the way to go. I’ll never turn back.” Chad is a first generation farmer. He concludes by stating, “You can do anything if you put your mind to it.” He welcomes visitors to the farm to see for yourself what robots are all about. 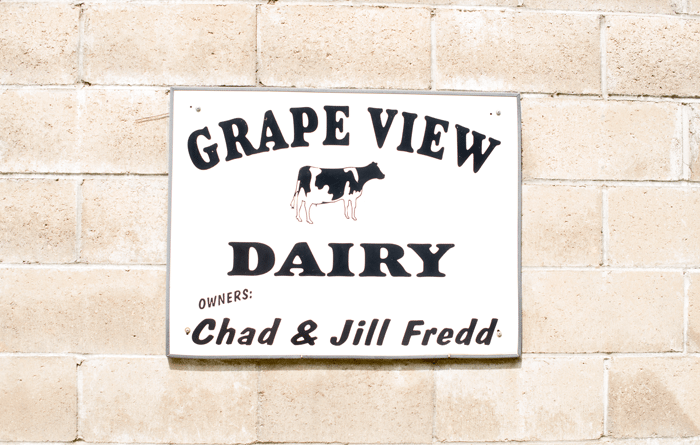 We Salute Grape View Dairy!